Windmill Organics started in 1978 as a whole foods retail outlet on the Fulham Road in London. They added a vegetarian and organic restaurant in 1981. Their wares proved so popular they began marketing to other retailers. Windmill were the first company to market organic margarines, organic canned tomatoes, organic yeast, organic coconut milk, organic pizza bases, organic Worcestershire sauce, organic cranberry, pomegranate, cherry and blueberry juices, organic pesto, organic chocolate covered nuts and raisins, to the UK market. 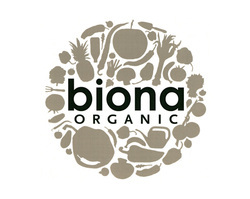 The first Biona branded products were breakfast granolas. The name refers its organic and pure roots; 'Bio' meaning organic throughout much of Europe and 'Na' taken from the word nature. 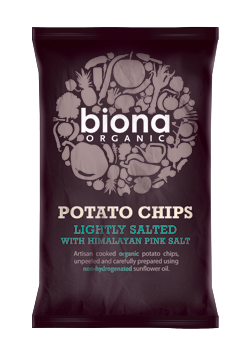 “At Biona Organic, we believe in great tasting, thoughtfully prepared food to complement an ethical lifestyle. Our farmers don't use chemical pesticides or herbicides on crops, and they don't grow genetically modified plants. We also make sure they only use sustainable farming methods and do not work their land intensively. 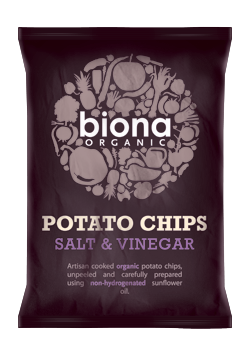 And because we believe in 100% traceability for all our products, we know all our ingredients are of the highest quality, completely natural and suitable for vegetarians.